There seem to be a multitude of reasons people start cooperatives, perhaps as many as there have been cooperatives themselves. I cast my memory back to weeks editing John Curl’s monumental history of cooperatives in the U.S. For All the People, and my conflicted feelings about all of the hope and faith that people have invested in cooperatives over the years. The conflict is the result of one single fact, all of these cooperatives have either failed, or have grown too big, too corporate to stand for much more than an echo of the ideals they once began with. It didn’t help my years on the edges of two different cooperatives in different levels of combustion, both due almost entirely to personality conflicts sharpened by financial pressures and difficult business decisions. Reading about two cooperative movements in London’s East End several years later, however, has set me thinking about just why cooperatives are so important. Capitalism is a system that requires a certain kind of behaviour from businesses in order for them to survive. It is not the greed and ruthlessness of individual factory owners that leads to low wages and bad conditions for workers (although an owner may well be greedy and ruthlessness) but rather the systematic need to compete with others in that well-known race to the bottom that forms a straitjacket into which owners fall more or less easily, and the reality that it is most often the exploitation of workers that gives one business the edge over another it needs to survive. Cooperatives enter that world, and to a certain extent are bound by it and play by its rules, an incredibly difficult tightrope to walk when you are also upholding a very alternative set of ideals. There seems to have always existed a niche market for ethical goods, but it seems always to have been very small and very unstable. This alone is enough of an explanation of failure measured in terms of years of longevity or sectoral control or the potential for the ultimate transformation of society as has been argued by many of its proponents over several hundred years. Yet it does not get at what cooperatives succeed in, and why I still see cooperatives as a necessary part (but only a part), of a larger movement for three principle reasons. They give people practice in structures of true democracy (capacities that must be learned as any other skill is learned), allow them to potentially find a joy and dignity in working rarely found elsewhere, and form another strategy of survival through difficult times. They seem to do best when they combine all three. One co-op effort I’ve only found out about recently that embodies the first two aspects is ‘The Guild and School of Handicraft’ started by C.R. Ashbee in Whitechapel in 1888. Ashbee was a key figure of the Arts and Crafts Movement, primarily inspired by the work and writings of William Morris on art and socialism. I’ve been reading a great deal about Morris, who argued for a renewed return to medieval traditions where an understanding of art was based on the conditions under which it was produced, the time and space and monetary stability to enjoy work and only thus to be able to create something truly beautiful for its own self rather than for a profit. While I struggle with applying his imaginings of a utopian society (found in News From Nowhere) to modern urban population densities and the need to support them, there is a resonance of this idea of freedom of love, movement and labour and a joy in creating beautiful things for everyday use. They taught cabinet making, jewellery making, metal working and ultimately printing when the machinery from Morris’ printworks at Kelmscott House were left to them upon his death. 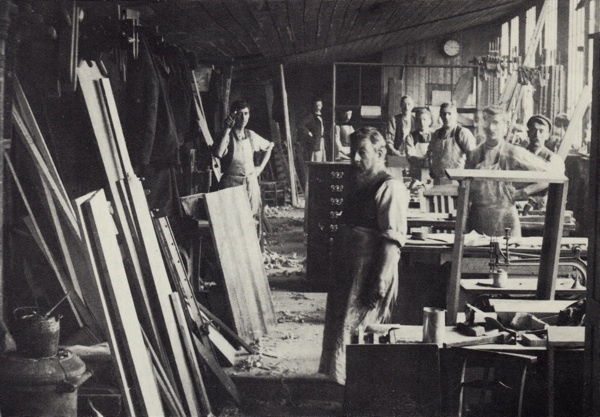 Ashbee was a class, and a world, apart from most of the men who joined this cooperative effort, but this surely served not only as a bridge across these differences, but as a support for craftsmen to emerge from the desperate and grinding poverty of that time and place. The co-op survived on commissions and sales through a fashionable shop front in the West End. The importance of the co-op to its members (though also the unequal power of its founder, a common pitfall I think) can be seen in the fact that 150 of them moved many miles away to Chipping Campden when Ashbee decided move it there.They produced some truly beautiful things. Interestingly enough my second example also builds from the Arts and Crafts Movement through Sylvia Pankhurst, an artist and metal-worker of that tradition, though much more famous as a suffragette. I have a immense (though guarded) respect for the fierce privilege of her mother Emmeline Pankhurst, but Sylvia is my favourite of the family. Engaged in organising women of the East End, her refusal to tow the middle class line of the Women’s Social and Political Union under her mother’s and sister Christobel’s charge, she was requested to organise them separately under a different name. They became the East London Federation of the Suffragettes (ELFS), and they were inspiring. The hardships faced by women during WWI impelled them into substantial cooperative ventures. 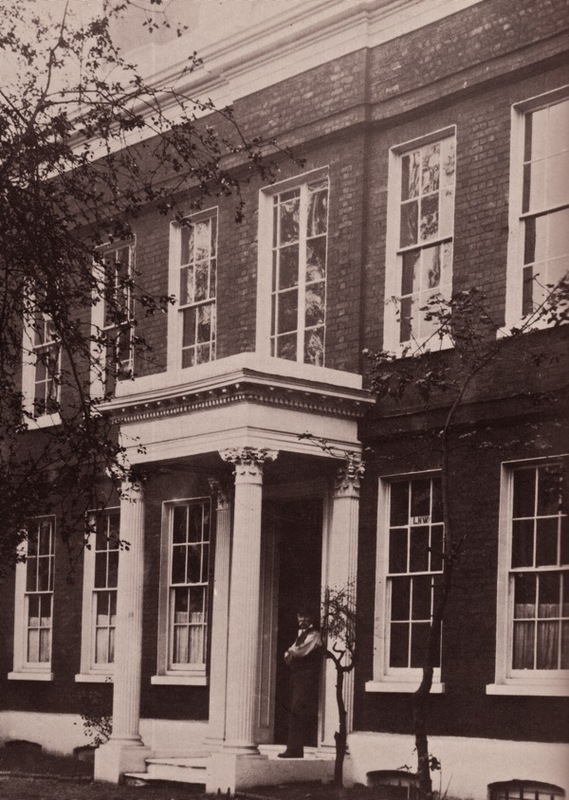 Even with husbands present and working, women faced lives of immense hardship (you can read more about early feminist studies of women’s lives in South London here and on the difficulties they faced in accessing existing charitable relief institutions here and here). When men were called to the front families faced starvation. The ELFS opened a clinic, a nursery, and three canteens to collect donations of milk and food and distribute them. Eventually they would take over an old pub called the Gunmakers’ Arms, and centralise all of these operations in one place, renaming it the Mother’s Arms. What I find most extraordinary at all is that in October of 1914 they started up the cooperatively run East London Toy Factory, which would employ women in the making and distribution of toys and run until 1934. Much of the history of this has been lost, though a project is now underway to research it (and more can be found on the wonderful East London Sufragettes website from which much of this information comes). Still, it too embodies so much of the deeper meaning of cooperatives — the building of movement and the capacities needed to improve that movement, a joy in working for oneself (and I can imagine, hopefully not to idealistically, the brilliance this effort in the lives of the many women who had been in domestic service or poorly paid and badly treated factory workers), and the survival of desperation and slow death without rent or food. These are also the historical aspects of co-operatives we have the least information on sadly, as researchers (and even their own members) often tend to measure them by the same standards as a regular business, or the ideals of transforming society as a whole that so often drives them. Instead I wonder about the generations of fine craftsmen in the Cotswolds and strong women that abound in the East End — I see their legacy there, mostly unsung.